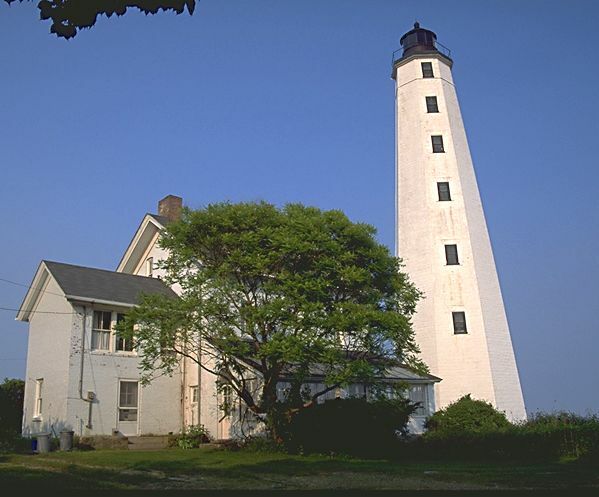 The octagonal sandstone tower at the edge of New London Harbor was built in 1801 as a replacement for the nation's fourth lighthouse, which was built here in 1760. The source of light was 11 whale oil lamps with 13 inch reflectors. These were modernized in 1857 with a fourth-order Fresnel lens. 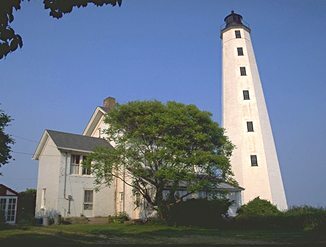 The tower is 89 ft. tall and is maintained by the Coast Guard. The dwelling is now a private residence. The light can be easily viewed from Pequot Ave. near Ocean Beach, but access to the beach is highly restricted.